Do you want to track assets that don’t have barcodes (or the barcodes are inaccessible for scanning)? Or do you want to add barcodes to tickets or IDs that don’t currently have barcodes printed on them? 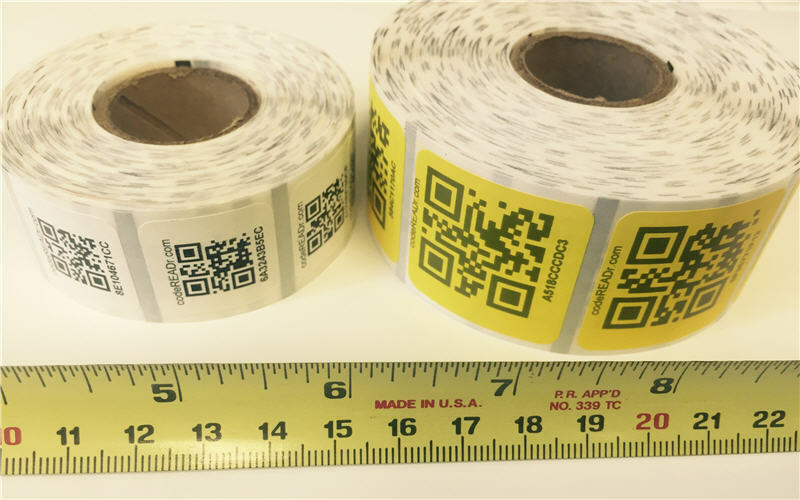 We offer a CSV file of random IDs embedded in QR codes shipped with corresponding rolls of low-cost, pre-printed, sticky labels. You can easily create a table of IDs for importing to codeREADr, each with a description associated to it (optional). A roll of 1,000 QR labels costs only $49.95 plus shipping ($8.00/roll). You will need to have a Free Plan or Paid Plan account on codeREADr.com. If you choose a paid plan you can downgrade at any time (see Pricing FAQs). You must enter a credit card on the Account > Billing > Credit Card page. We will charge your card within 24 hours of receipt of your email. We will send the list of barcode values via email after the payment is successful. It takes 2-3 days to prepare the shipment and 2-3 days for you to receive them via USPS.